Ocimum Basillicum (Basil) Oil, Eugenia caryophyllata (Clove bud) oil, Resenoid Galbanum, Zingiber Officinale (Ginger) oil, Pogostemon Cablin (Patchouli) oil, Mentha Piperia (peppermint) oil, Cedrus (Cedar) wood oil, In a base of naturally harvested powdered wood and tree gum, bamboo sticks. Ditch your morning cup of coffee and get energized the all-natural way with Pure Energy. Pure Energy harvests nature’s most potent energizers, such as rosemary and peppermint, to deliver healthy energy and sustained vitality throughout the day. Diffuse the oil or light your candle and incense to enjoy increased mental alertness and memory retention and to fight fatigue and poor concentration. You won’t even miss your regular cup of joe. 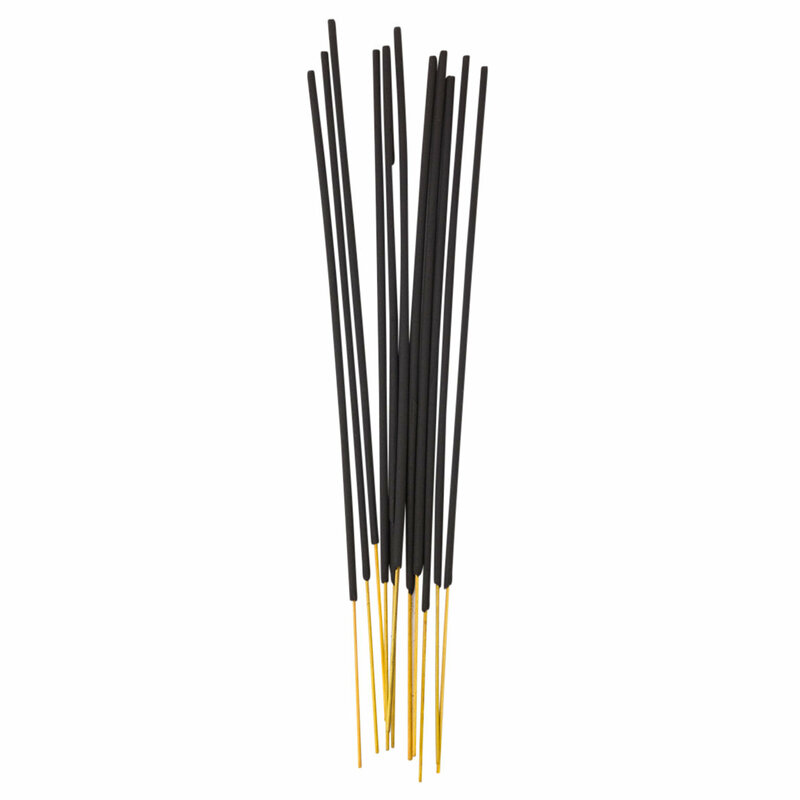 Light the tip of your incense stick and gently extinguish the flame by blowing or fanning. It should glow red and give off a wisp of pale, fragrant smoke. Place the unlit end into your incense holder and let it smolder, allowing the aroma to takeover. Enjoy the extra jolt of energy that fills you and get ready to seize the day!